One in 20 women caught up in the vaginal mesh scandal have attempted suicide, research suggests. Campaigners surveyed around 630 women who have the controversial implant, once widely used to treat prolapse or urinary incontinence. They found five per cent of women with vaginal mesh are in such severe pain they have tried to take their own life or self-harm regularly. A third of mothers with mesh complications – such as recurrent urinary infections, pain or fatigue – rely on their children to care for them after many have been left wheelchair-bound and unable to work. Four in five women with a mesh have developed depression and anxiety as a result of the procedure, while nearly half battle suicidal thoughts, the survey also revealed. The survey was carried out by the 6,800-strong campaign group Sling The Mesh, which lobbies for parliament to completely ban the controversial implant. 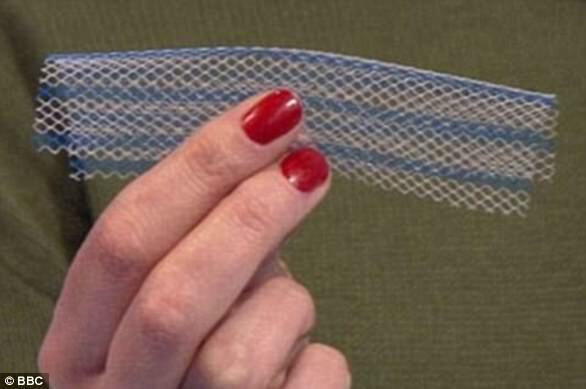 Campaigner Jackie Harvey told Cambs Times: ‘These results show that mesh implant complications are severe, life changing, and impact women and their families. 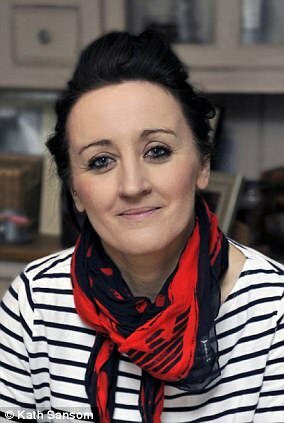 After asking 633 women with vaginal-mesh complications how it has affected their lives, results further revealed around 95 per cent of those with complications no longer trust the surgeon behind their procedure to give them the best advice. And a staggering nine in ten have lost all faith in the medical profession as a whole. Nine in ten also claim their doctor did not explain the implant involved having a piece of plastic permanently placed in their bodies. And 98 per cent allege they were not told about alternative solutions to their prolapse or incontinence, such as physiotherapy. As a result of the implant, four in five of the respondents claim they experience severe pain every day and one in five suffer urinary infections so frequently they are becoming antibiotic resistant. The National Institute of Clinical Excellence (NICE) is due to release new guidelines on how to treat women suffering incontinence or prolapse in two weeks. ‘If the new NICE guidelines are not tough enough then the mesh scandal will carry on like revolving door medicine, where women keep going in and out of hospital or GP surgeries looking for a fix,’ Ms Harvey said. Vaginal mesh – made of brittle plastic that can curl, twist and cut through tissue – has been branded the ‘biggest medical scandal since thalidomide’. Campaigners have fought for years for officials to put an end to vaginal mesh, with the most common implant – transvaginal tape (TVT) – being widely used across Europe and the US since the early 2000s. 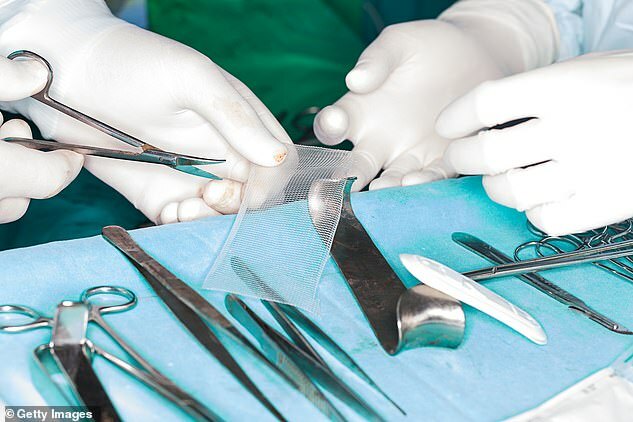 A recent BMJ investigation reported there was scant evidence in favour of mesh despite its rapid uptake, as well as widespread conflicts of interests among surgeons and doctors. And an NHS audit delving into the effects of mesh – released in April last year – shone a light onto the true scale of disaster. The likelihood of a woman suffering complications from mesh were shown to be around the 45 per cent mark. Across the world, mesh manufacturers like Johnson & Johnson face claims for compensation from women who allege they were not told about the complications. In a victory for campaigners, NICE ruled against the use of vaginal mesh as a treatment for pelvic organ prolapse in 2017. Following this, the Government suspended the use of some mesh procedures in England until certain conditions are met. And NICE announced surgical interventions using mesh or tape should only be considered when non-surgical options have failed or are impossible. Owen Smith, MP and chair of the All Party Parliamentary Group on Surgical Mesh Implants, called for the UK Government to follow Australia’s example and issue a national apology to women damaged by pelvic mesh implants. 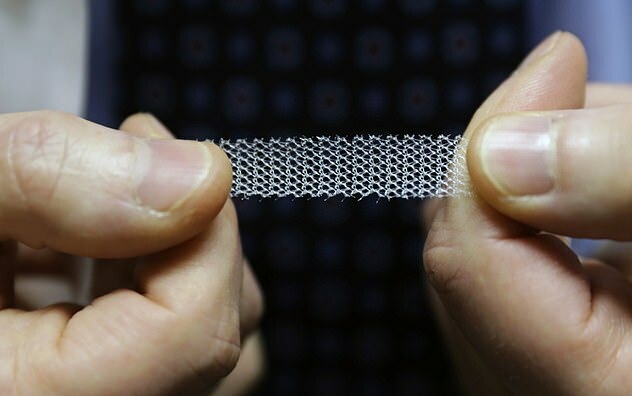 All forms of pelvic mesh are already banned in New Zealand after a landmark move in December and a similar move against mesh for prolapse has been made in Australia. Mr Smith also called for radical reform of the regulatory system for medical devices in the UK in the light of recent scandals involving surgical mesh, defective pacemakers, faulty artificial hips and PIP breast implants.